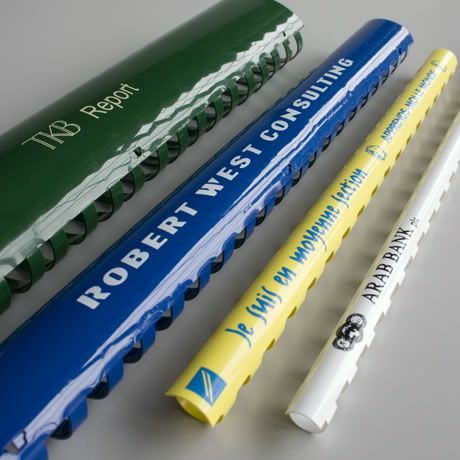 Printed combs can be a very useful advertising tool, simply by having your company name in view on the spine of your document as well as the printing on the covers. 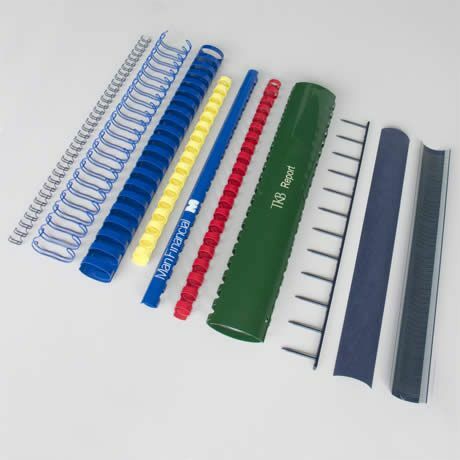 Unlike wire or velo binding, the plastic comb has a spine. This often finds itself placed on shelves and bookcases. With your company name displayed on these combs it is easy for your customers to identify your products.